Historic St. Michael’s Cemetery is an open air museum that is a testament to the diverse history of Pensacola. 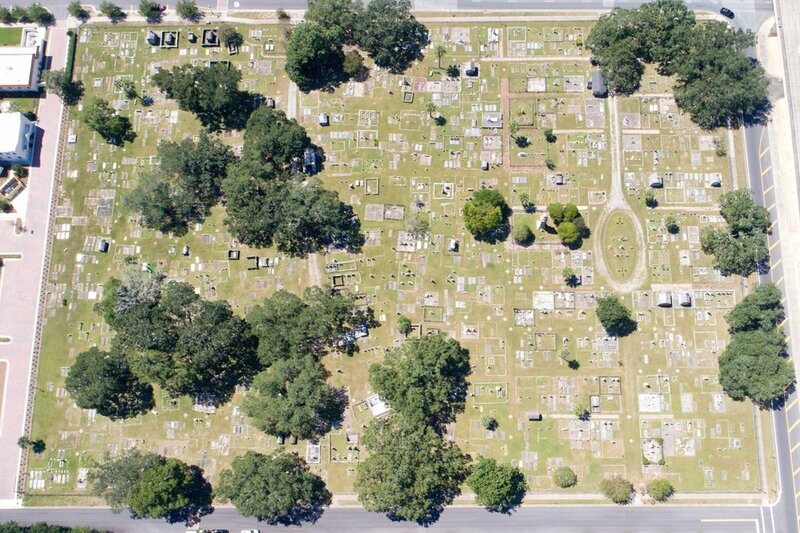 St. Michael's Cemetery is an eight-acre green space in the heart of urban, historic Pensacola, Florida. Probably in use by the mid to late 18th century. People of all faiths have traditionally been buried here. The cemetery is an open air museum that is a testament to the diverse history of Pensacola. Today, the cemetery is managed by the St. Michael's Cemetery Foundation of Pensacola, Inc., whose mission is to provide overall management, support restoration and conservation efforts that maintain the historic fabric of the site, and promote public awareness and stewardship through education. The nonprofit Foundation works with the University of West Florida and many community groups and individuals to preserve this historic site.